The first step to sell online is to know your target audience. But identifying that audience is not always clear. While you should have an idea of who would want your products, it’s not uncommon to find that your understanding of groups of people, along with their shopping habits and expectations, is off. Sometimes way off. And that’s okay. The idea that we must know exactly who to target so we can perfectly pitch our products and services isn’t always so logical. Consider play dough (the product before it was branded). Invented in the 1930s, it was initially designed and marketed as a wallpaper cleaner. Only much later did the company realize the putty-like dough was being used for arts and crafts projects. In 1956, the brand Play-Doh was launched. Sales skyrocketed. It’s a good example of missing a target audience because it has yet to teach us what it wants. Writing for both the intended and unexpected customer is fundamental to real growth. 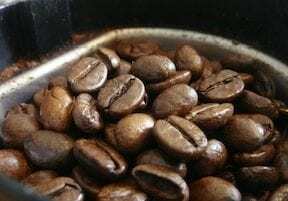 The key to writing for everyone is to be descriptive enough that you answer the broadest range of questions, using simple words and graphics that don’t make people — even experts — feel like idiots. Sugru’s website, shown below, nails this concept. 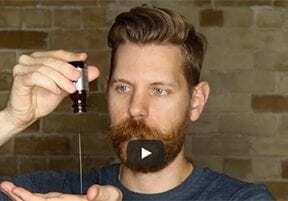 This “mouldable glue” was designed to fix common things rather than replace them. 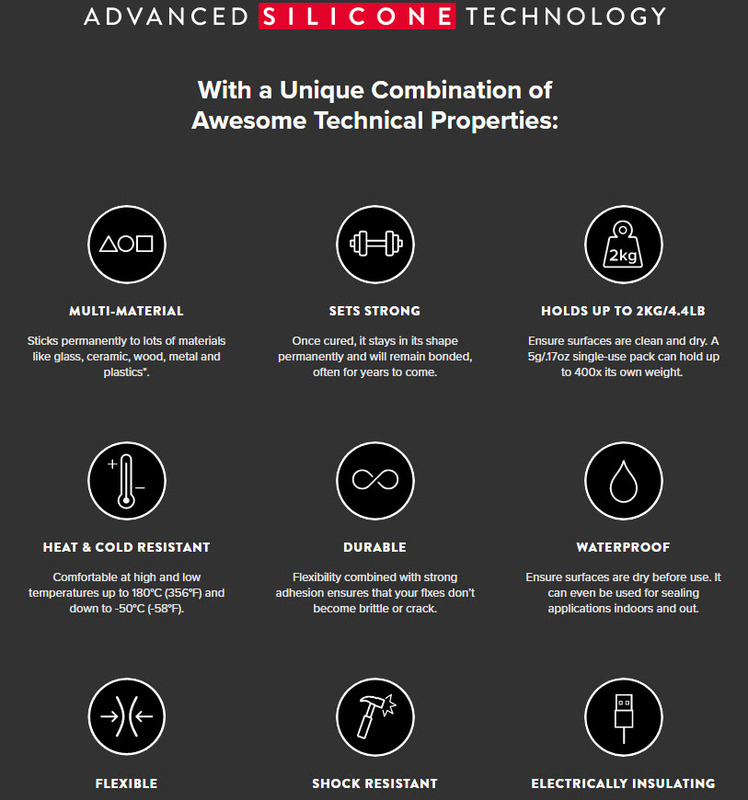 Sugru’s simple technical-properties chart provides key details that are easy to understand. Sugru’s simple approach to educating everyone about its product line answers questions using simple icons and text. We can quickly see that the product is safe for electronics and will work in both cold and warm climates. 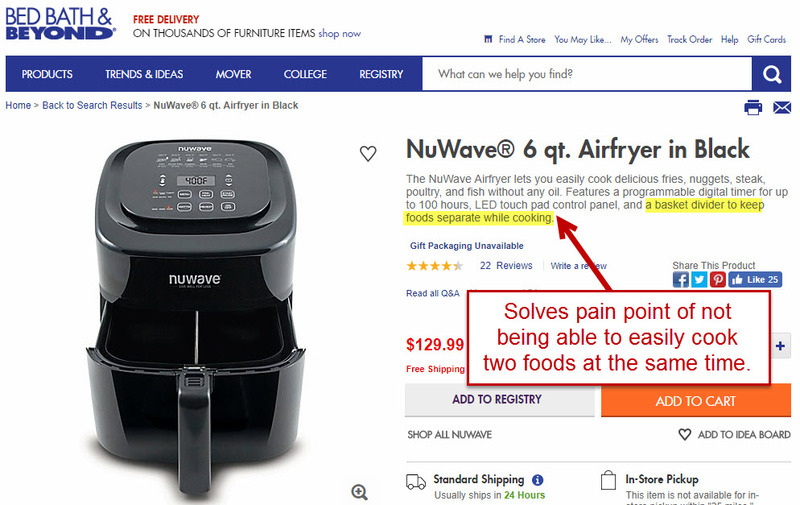 Explain both generically and specifically how the product solves pain points. Speak to those who are familiar with the product and those who are learning about it. Be sure to include the product’s core purpose, top features, and how it solves pain points. In this case, the air fryer comes with a basket divider, to cook two foods at the same time. Include technical specifications. These should be in list format and address common concerns and questions about how the product works, where it can be used, and requirements for use. For example, the specs for a laser printer should list the dimensions, energy consumption, Wi-Fi and Bluetooth compatibility, and how fast it prints. Present images and video. Be sure to convey the context of use, popular uses, and installation techniques. Endorsement videos can also help reach broader audiences. Discuss alternate uses. If the product has multiple uses, list them. Duck Brand duct tape, for example, is marketed for home repair, arts and crafts, and weatherization, to name a few. Encourage feedback and questions. The best way to know how to present a product is to answer real questions. Whether a contact link, a form, or a discussion block, allowing shoppers to ask and share is a great way to cover many bases. Many products have more than one target audience. Recognizing this is crucial. Listening to current and potential customers can help identify broader groups who may love what you have to offer. 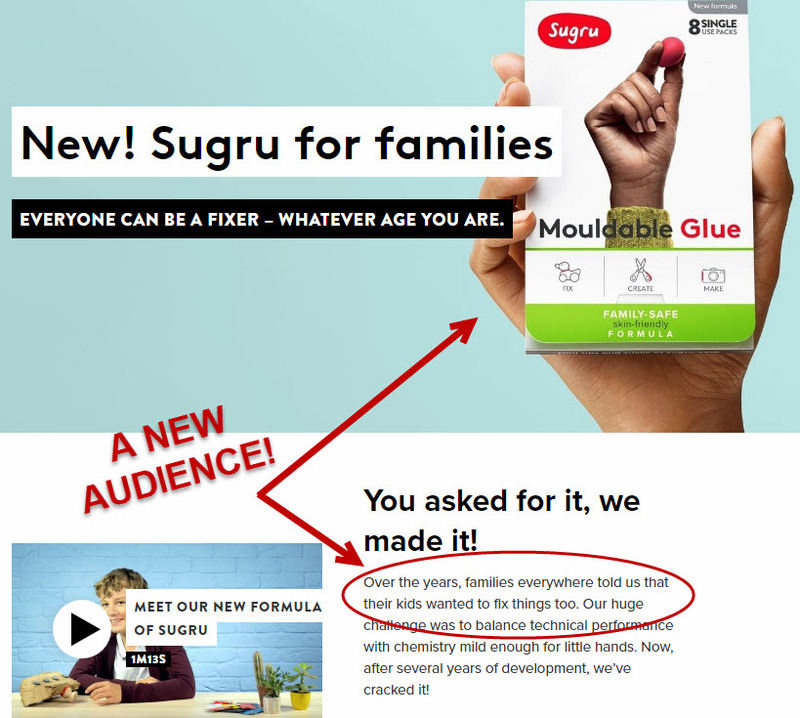 A good example of branching out beyond the initial audience is, once more, Sugru, the mouldable glue producer. Customer feedback showed that people not only used the product for more purposes than initially intended, but they also wanted a version for their kids. Thus Sugru developed a kid-safe formula. Listening is the best way to identify target audiences. Sugru was designed primarily as a household fix-it product. Customers wanted a version for their kids. Take time to see how customers use the products. Then, invite those customers to share their views! User-generated content is the best tool to convert more visitors into customers. Sugru has a loyal customer base, the people who truly propel the brand. “Sugru-ites” took the product line beyond being just a tool to fix things. 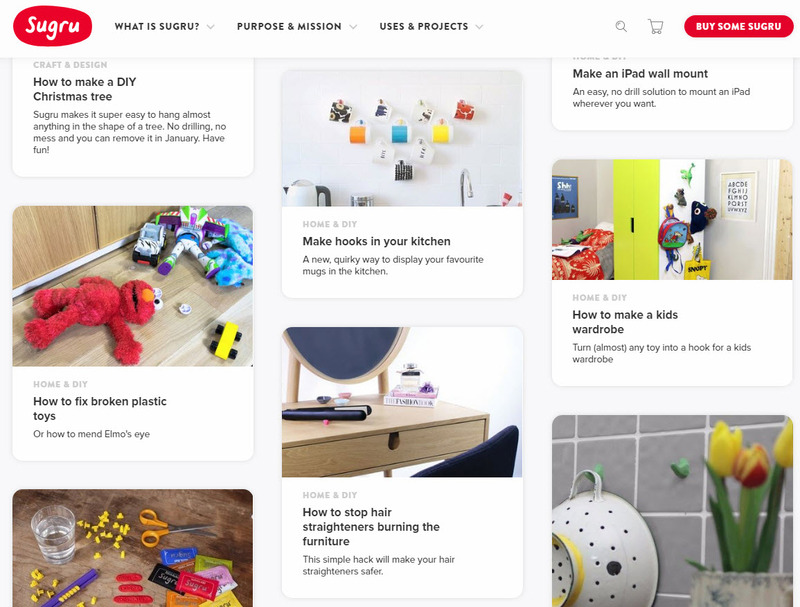 Customers are using it to build new products, such as hooks, cord grabbers, heat-resistant handles, and more. Once you’ve recognized and embraced your expanded target customers, showcase their work and photos to create a sense of community. Showcasing the work and photos of others creates a sense of community and instills trust and value. This helps you sell more across the board. Customers will order replenishable products more regularly and recommend single-purchase, tangible items to friends and family.